Last Thursday I attended the Multiculti Mixer in Brentwood, California. The free event featured a reading by well-known actor Taye Diggs who read from his new children’s book Mixed Me, dedicated to his son Walker. This book follows on the heels of its predecessor “Chocolate Me,” Diggs’ children’s book about growing up black. The Multiculti Mixer was a veritable utopia of mixed race belonging. A pretty even blend of adults and children, about 60 or 70 guests packed into Kidville Brentwood for a panel about raising mixed race children, a fashion show by some of the children themselves, and of course the celebrity reading and book signing. My (white) friend and I handed in our tickets — one general admission and one “blogger/influencer” — but once we stepped inside we realized everyone was on equal footing, and we loved it. Kids of all different hues and all different hairstyles ran in and out of rooms, including the arts and crafts room set up just for them. Parents appeared relaxed at not having to anticipate sideways glances or outright stares. Everyone smiled big, and often. Taye Diggs walked through the front doors during the panel with absolutely no pretension. My friend and I had just taken a picture in front of the event backdrop, and as Diggs crossed the threshold, a little girl squealed and wrapped her arms around him. Diggs didn’t seem to mind. He stood around with everyone else during the fashion show, with his nearby bodyguard as the only visible indication of his status. Diggs wasn’t the only celebrity present for the event. Biracial Grace Colbert, famous for the controversial Cheerios commercial (controversial merely for featuring interracial parents) attended with whom I assume to be her mother. “I liked your commercial,” I said to her as we stood in line for something or other. “Thank you,” she replied quietly, either tired of the statement or naturally reserved. Either one, of course, is completely valid in my opinion. 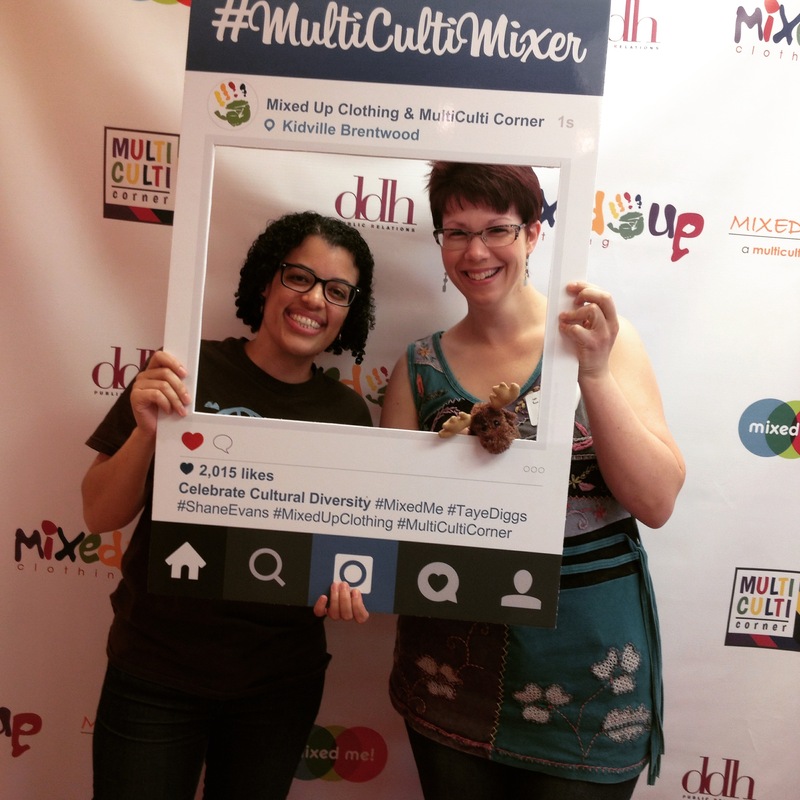 The Multiculti Mixer fashion show, featuring garments from Mixed Up Clothing, was the most positive and inspiring runway show I’ve ever seen. Family members and other onlookers snapped pictures, cheered, and clapped as children did spins and twirls down the tiny center of the room. The children pranced with confidence and jubilance that seemed to go beyond the attention they received. Instead, they seemed intimately aware that they were being praised for their appearance in a manner devoid of ogling or exoticizing. They were, in that moment, free. I just happen to be mixed. 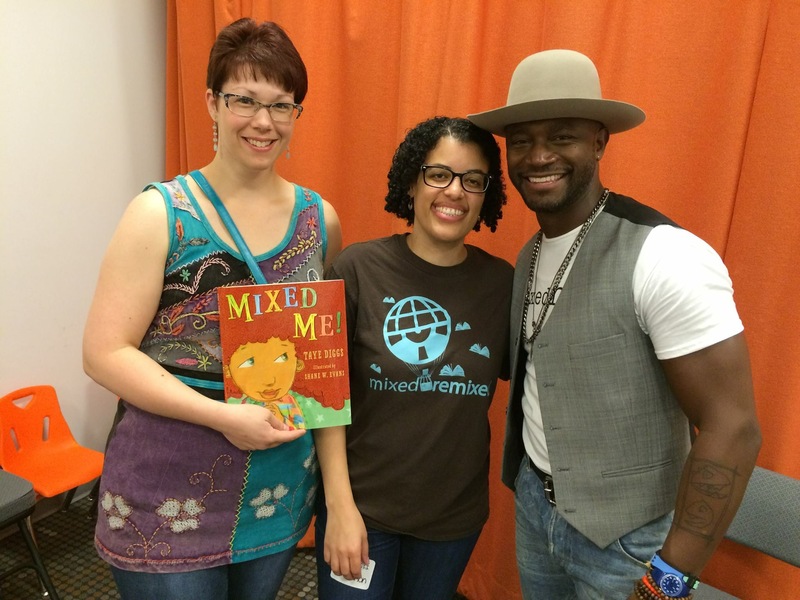 As someone of Taye Diggs’ generation, I couldn’t help but be amazed by both his book and the event. 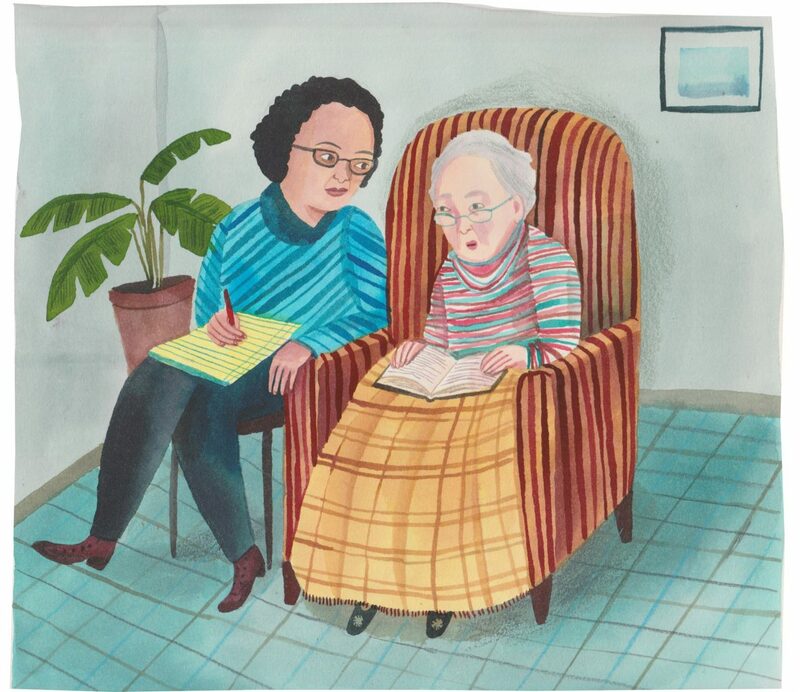 Mixed race adults didn’t have children’s books that explained their biracial experiences. We weren’t in commercials or on the cover of cereal boxes. There were no mixed race events, and no one to speak on our behalf like Diggs has for his son. The event left me with no feeling of envy, however. Only a swell in my heart that this gathering is just one of many to emerge in our bourgeoning nation. It’s my hope that these children will grow into adults who don’t realize how lucky they have it because mixed race inclusion will be the norm. It may be a naive hope, but events like these prove we’re moving in the right direction. Last week, the NBC primetime show The Mysteries of Laura did something I’ve been waiting for in media. The episode centered around solving the mystery of a biracial character, and this character’s ethnicity had absolutely nothing to do with the plot. Each week, the lead character Laura Diamond (Debra Messing) catches the killer responsible for a recent murder. The premise of the show is largely nothing new, but it has a simple charm that makes for good Hulu entertainment while sipping morning coffee. In this episode, titled “The Mystery of the Locked Box,” a billionaire tech genius named Zac Romero is found dead in his upscale apartment. Christopher Reed Brown, the young man who plays Zac, is of course not really part of the episode and has no lines, since he’s, well, dead. But the show does have Debra and her colleagues speak with Zac’s mother and father. The fact that Zac is biracial isn’t even known to the viewers until the entrance of his mother Rosalie, played by Linda Powell. Sure, we’d pretty well gathered that Zac wasn’t lily white, since his last name is Romero and his dead body has a slight olive tone. But Rosalie’s darker skin signals to viewers that this dead body belongs to a mixed race man. While mixed race characters on TV have existed for quite awhile, what set this situation apart was the fact that Zac’s ethnicity had nothing to do with the plot, and that the film crew still felt it valid to let him exist, and to purposefully cast a black mother and a white father. Such planning is quite rare in the TV industry, especially if there is no takeaway in terms of story arc. Laura Diamond considers Zac and Rosalie completely representational of any other mother and son. She makes no reference to race, and she seems completely unfazed by this interracial family unit. This episode also did interesting things to thwart stereotypical representations of minority characters. Zac gets to incorporate a space that is often not granted to black characters: He gets to be not a basketball player, or a musician, but a tech genius. 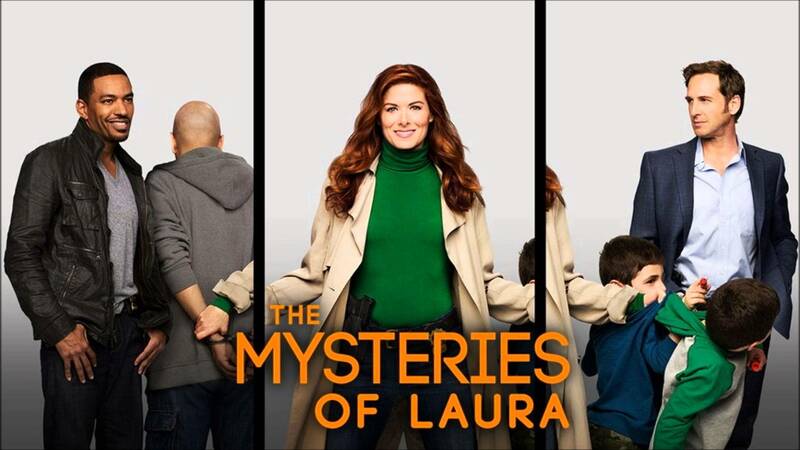 If The Mysteries of Laura had followed standard representations, Zac would have been played by an Asian or Indian character, if they had used a minority at all. Normally if a black man plays a tech genius, it’s only because he has some ominous dark side, but Zac planned to give away a new invention instead of making an kind of capital on his product. Additionally, it’s Zac’s white father who plays the deadbeat. A selfish, lazy character who has recently reached out to Zac, only in an effort to acquire his wealth through their shared bloodline. The media has a long way to go in its representation of mixed race characters, but this episode shows me that one of my biggest wishes may come true. While it may seem unfeasible, my dream is to see a novel about a biracial character that has absolutely nothing to do with race. Instead, this character would get to exist just like any other, and he or she would get to tell a story from a place of full agency, where race doesn’t have to be the fabric that holds the plot together. Perhaps I’ll write my own book someday and fulfill my own wish. In the meantime, I’m glad to see these seemingly small but significant strides.